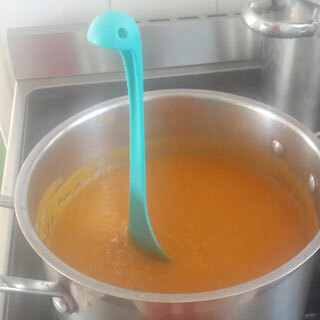 Introducing my latest kitchen tool – meet Nessie. She loves to hang out in a big bowl of soup. She looks great in any pot and compliments plenty of colours! Cute isn’t she?